More great reads for holiday gifting~ there are goodies to be had for the reader on your list! 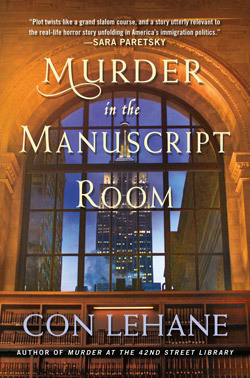 Con Lehane introduced NY City Public Library crime curator Ray Ambler in last year’s Murder at the 42nd Street Library. He brings Ray, his colleague Adele, grandson Johnny and detective friend Mike Cosgrove back in the equally engaging sequel, Murder in the Manscript Room. In an interview Lehane once said someone told him the most interesting person at a library was its archivist, the keeper of everyone’s secrets, and that holds true here when Mike introduces him to Paul Higgins, a former NYPD intelligence detective who has written a few crime thrillers and wants to donate his police files to the library. With the file boxes stowed in Ray’s office as he mounts a new exhibit, so a few days later is the body of a newly-hired library staffer. Ray has a personal interest in solving the crime, not the least that he’s a suspect, but there are complications in the form of a Syrian researcher who’s arrested and a tie-in to Ray’s son, John, serving time in prison. 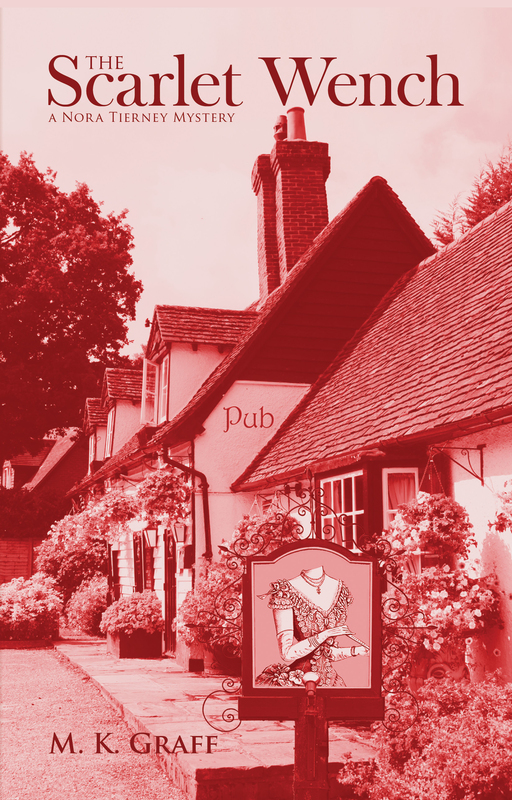 The personal angle of little Johnny plus Ray’s relationship with Adele provide added interest as Ray tries to figure out how the secrets of the past and the murder of a union boss have contributed to this recent murder. An intricate sequel sure to please book lovers and mystery afficionados, with well-drawn characters to boot. 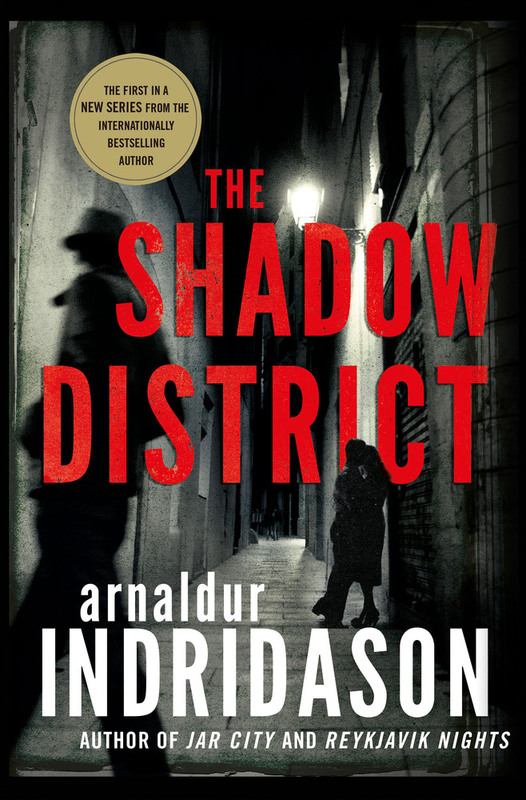 <img src="https://auntiemwrites.files.wordpress.com/2017/12/shadowdistrict.jpg" alt="" width="500" height="760" class="size-full wp-image-3680"
Arnaldur Indridason's returns to Iceland with the start of a new series in The Shadow District. It’s an interesting mix of present day, with retired detective Konrad is asked to help with the death of a 90-yr old man smothered in his bed and end up investigating the WWII murder of a young woman in the shadow district, the rough neighborhood near where he grew up bordered by the National Theatre. Alternating between the original detective’s investigation into the girl’s murder and his own follow-up, he soon realizes he must solve the old murder to find the killer for the recent one. Who would bother to kill an old man on the verge of death and for what reason? 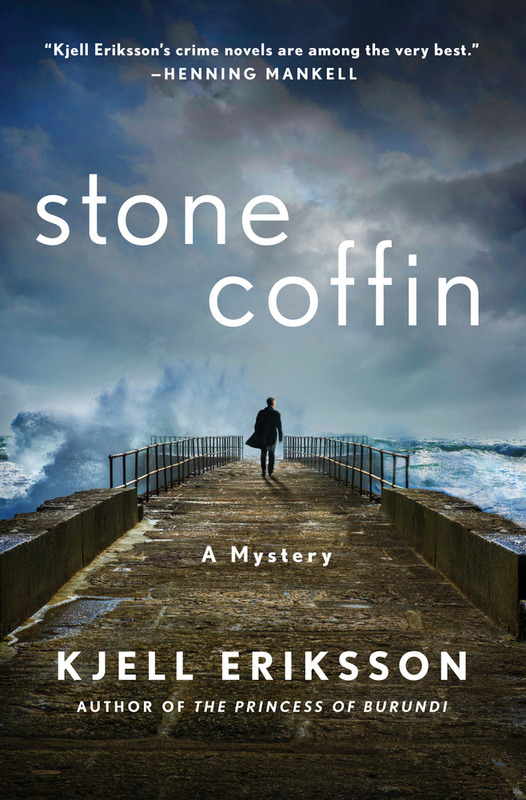 And speaking of the Scandanavian Noir, Kjell Ericksson’s 7th Ann Lindell mystery, Stone Coffin, is now out in paperback if you missed it last year. This one surrounds the hit-and-run deaths of a young woman and her six-year old daughter and becomes a complex mystery. 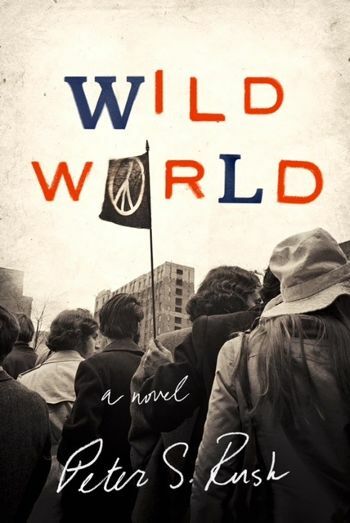 Peter S. Rush’s debut introduced Steve Logan, Brown graduate whose been affected in 1970 by the Kent State killings to the point where he joins the police force. But his idealism takes an immediate hit as the rookie gets used to what it means to police Providence. Local mafia, agressive colleagues who heat up situations instead of knowing how to defuse them, detectives who are sadistic–all add up to quickly disillusioning Steve’s idealism. Mixed in with the mores of the time is his continuing and complicated relationship with pre-med student Roxy, his true love. Both young people have growing to do and learning about life through each other’s actions. When Steve decides he’s had enough, that change has to come from within, he starts keeping notes about the way things really are going down and finds more than he’s bargained for as he looks into the corruption. But will he have the courage–and the time–do see real change happen before he loses his own life? A complex and assured debut with a compelling storyline. 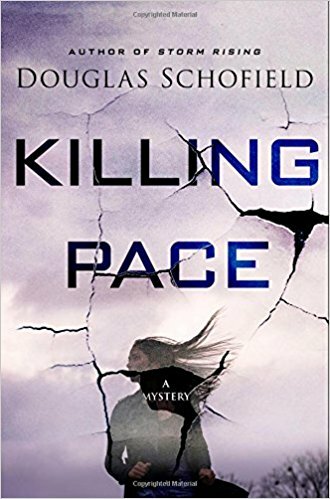 Killing Pace is Douglas Schofield’s newest thriller that packs a wallop with its premise. After a horrific car accident months before, Lisa Green is being nursed back to health by her boyfriend. Roland. The only thing is that Lisa has amnesia and can’t remember the accident or what led to it. Roland’s close watch on Lisa leads her to believe he’s not her boyfriend and is keeping her prisoner. When she escapes him she enlists a sheriffs deputy to help her find a missing person: herself. It’s a creative way to tell capture readers as Lisa, who is really Laura Pace, figures out who she really is and why people want her to die. With international repercussions to her case, invovlement from the mafia and US Border Control, it’s no surprise when infant traffiking is at the core. It’s a wild ride Schofield takes Laura on as she cuts a wide swath in her wake to find the truth. Believeable and all too timely. 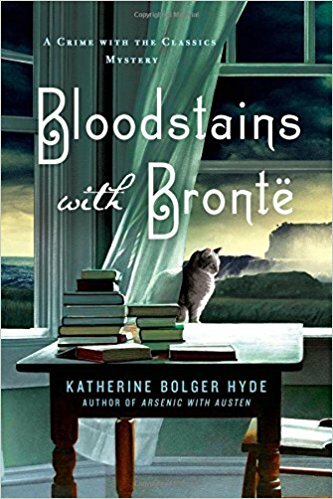 Katherine Bolger Hyde’s second “Crime with the Classics Mystery,” Bloodstains with Bronte comes complete with chapter epigrams from Bronte novels, a nice conceit Auntie M enjoyed, as well as plenty of literary references. 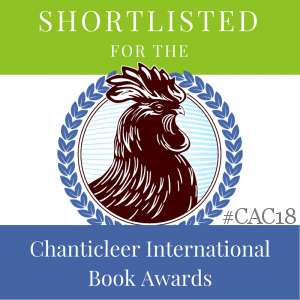 Widowed literature prof Emily Cavanaugh has inherited her murdered aunt’s fortune and lovely Oregon home, and her guilt at both has prompted her to turn the large home into a writer’s retreat. With her housekeeper Katie and her infant daughter, Lizzie, for company, Emily braces for renovations. What she’s not counted on was the two workers, Jake and Roman, openly attracted to Katie. Their boss, on the other hand, is his own kind of enigma. 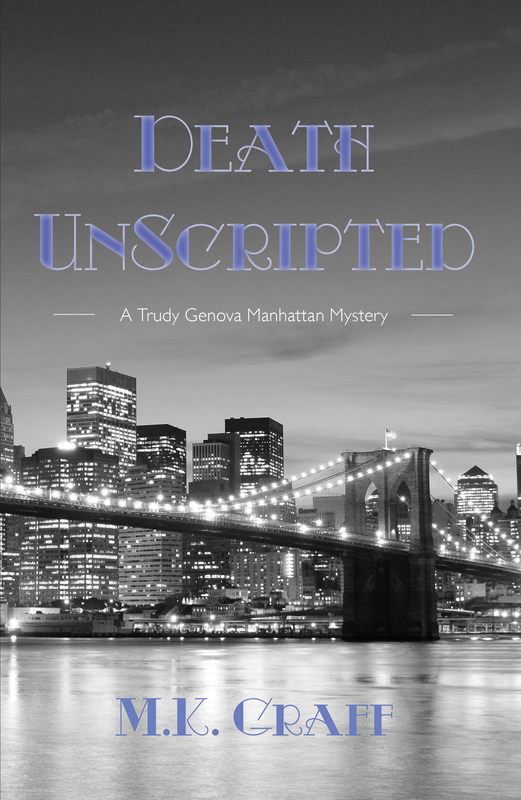 When Katie and Emily host a murder mystery fundraiser for the local clinic at their house, fiction turns horribly wrong when the supposed victim is actually killed, and Katie is the prime suspect. It will take all of Emily’s smarts to clear Katie, as she “helps” Windy Corner’s detective Luke Richards in his investigation, despite his misgivings. It doesn’t help that Emily and Luke are romantically involved. And then the deaths multiply and suddenly all bets are off. 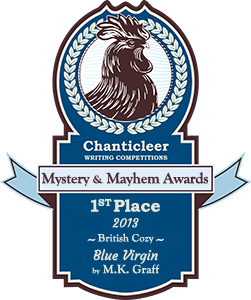 A mystery for those who like their literature with a hint of romance.